Does anything say “Florida” more than the flamingo? The old-timey tourist attraction Jungle Gardens, founded in 1939, is one of the few zoos in the nation that allows its flamingos to roam freely. By the way, a grouping of the brilliantly plumed birds is called a flamboyance, not a flock. Pink flamingos actually start out white. They get their vibrant rosy hue from the food they eat, mostly shrimp and other crustaceans. Flamingos stand on two legs while they eat, but balance as gracefully as ballerinas on one leg when they sleep. Biologists theorize they do so to conserve body heat; or to camouflage themselves in ponds (think of tall, skinny reeds and other water plants); or perhaps, like many other animals like dolphins and ducks, they turn off half their brains while they sleep. Scientists say as many as 2,500 flamingos lived in Florida until the early 20th century when sadly, like herons, egrets and peacocks, they were hunted to near extinction for their plumes to adorn the fashionable women’s hats of the period. Maybe, say ornithologists, who once assumed most were escapees from captive populations like Miami’s Hialeah Park racetrack, which imported theirs from Cuba in the 1930s. 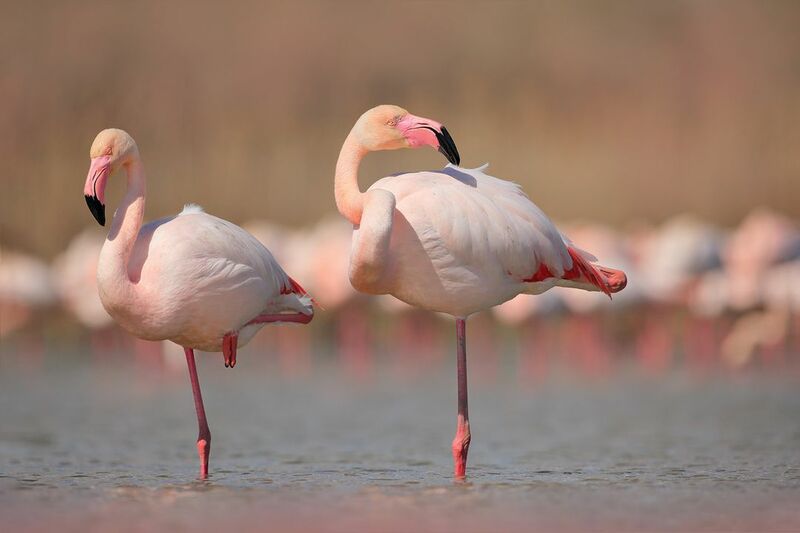 But studies of century-old birding reports recently published in a scientific journal have led them to the conclusion that the flamingos found in Florida today may be returnees from Mexico or the Caribbean reclaiming their natural territory. Why is that important? It may make them eligible for endangered species protection. 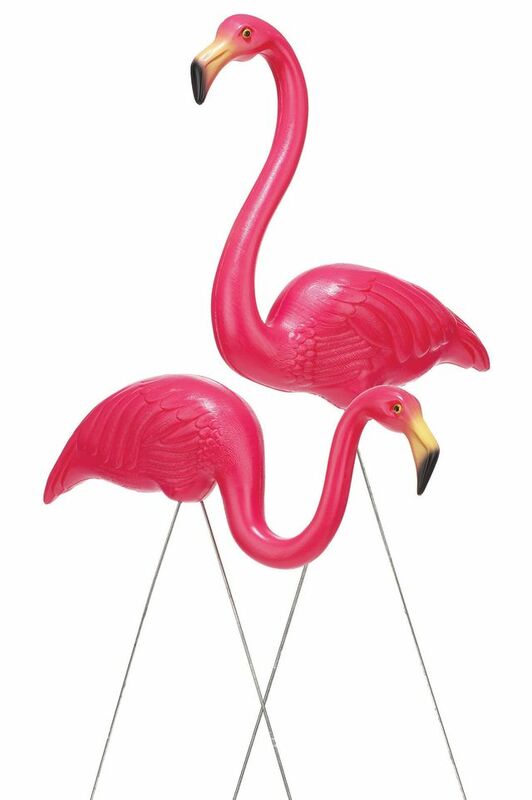 The pink plastic flamingo lawn ornament was invented in 1957 by Massachusetts sculptor Don Featherstone for the plastics company, Union Products. That’s according to Smithsonian Magazine, preserver of all things Americana. His inspiration was a photograph in National Geographic. The kitschy plastic birds were originally sold in the Sears Roebuck catalog. John Waters made pink flamingos famous again in his 1972 film of the same name.